To meditate in a group setting is extremely important and beneficial for anyone trying to learn Sahaja Yoga. Those who have been practising regularly for a number of years have their Kundalini energy flowing more strongly and help vibrationally lift up others. We also balance out each other’s strengths and weaknesses in the chakras and channels, resulting in a stronger experience which is much harder to achieve and maintain by the beginner meditating alone at home. Please join our Meetup Group to receive class reminders and announcements for special events. Our classes are taught by experienced teachers who are established in their practice of Sahaja Yoga. 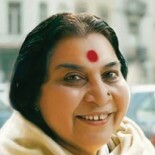 Classes are approximately 1.5 hours long and typically include explanation of Sahaja Yoga knowledge and techniques, guided meditations and video clips of Shri Mataji, the founder of Sahaja Yoga. In Sahaja Yoga meditation classes, there are no stretching and/or physical exercise. Mats are not necessary; dress for comfort. There is no previous experience or knowledge of meditation required, only an open mind. Sahaja Yoga is taught in over 100 countries always at no charge. We are a not-for-profit group of volunteers in the Tri-Cities and welcome invitations from schools and organizations to teach meditation. This entry was posted on August 21, 2013 by tricitiesmeditation in Attend Classes.